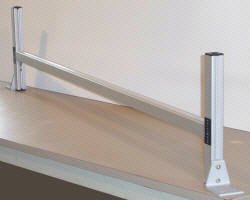 Roof mount ladder racks, aluminum ladder racks for truck and trailer roofs. VertiRackTM Box Truck and Trailer Roof Mount Ladder Racks are custom sized to fit your application, unlike "one size fits all" ladder rack frames, which utilize extendable ladder rack cross members, there are no weak points in VertiRack's design. 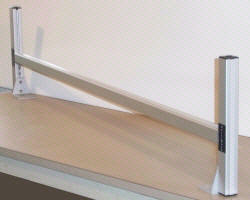 Our high strength internally reinforced cross members surpass tube and channel designs in strength and rigidity. 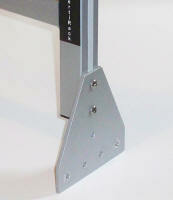 any of four mounting bracket options to fit virtually any truck or trailer roof. 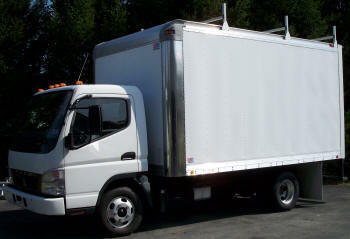 Box Truck/Cargo and Dry Freight Body Trucks, Service Body Trucks and Cargo Trailers; VertiRackTM offers a roof mount ladder rack to fit it. VertiRackTM also makes roof rack access ladders of any width or height to provide convenient access to your roof mount ladder rack. 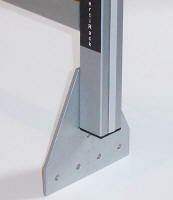 are comparable in strength to 1-1/2" square, 1/8" wall, welded steel tubing, at 2/3 the weight and none of the rust. High weight capacities allow the use of fewer ladder rack frames on the vehicle, instead of three or four frames to support your typical load, two or three frames should be sufficient. VertiRackTM also uses only high strength stainless steel fasteners allowing them to retain their strength and keep rust streaks off the sides of your vehicle. VertiRackTM Roof Mount Ladder Racks feature componentized construction for easy part replacement in the event of an accident. VertiRack's Box Truck and Trailer roof ladder rack mounting options allow the ladder rack frames to be fitted to almost any truck body or trailer roof style. Allowing a clean professional looking installation without the need for a custom made ladder rack. 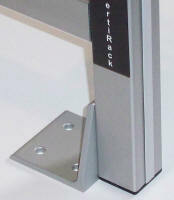 VertiRack's mounting bracket styles attach to the structural portions of the truck or trailer body providing a rigid high strength installation. Each ladder rack frame is equipped with an industrial grade, solid, UHMW-PE ladder guard cross member insert. 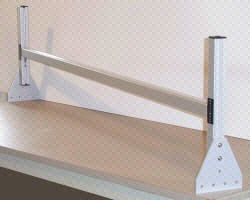 This eases loading and unloading of your ladders and eliminates dangerous ladder wear; also keeping damage to the ladder rack cross member to a minimum. 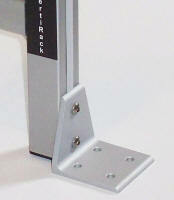 VertiRack's mounting brackets can be configured for flat roof mounting to the top of the truck roof, or to mount to the side portions of the truck roof's supporting members. 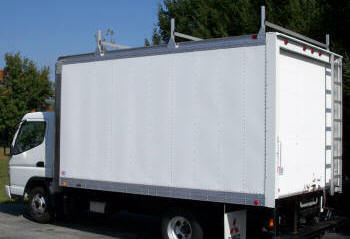 They will fit flat roof trucks and trailers, or roofs with radius edges and curved top trailers. VertiRackTM realizes that side mounted ladder racks don't completely cover every ladder stowage need, so by request we introduced our truck and trailer, roof mount ladder racks. These ladder racks are manufactured from high strength, internally reinforced, anodized aluminum extrusions. Anodized aluminum means no oxidation or blackening of the aluminum portions of the ladder rack frame; which will retain it's attractive, professional appearance for years to come. We don't stop there, all exposed hardware is high strength stainless steel for a lifetime of rust free service. Stainless steel fasteners retain their high strength while eliminating rust streaks down the side of your service vehicle. VertiRackTM Box Truck and Trailer Roof Mount Ladder Racks require no additional cross member bracing, or mounting rails to achieve their high weight capacity. 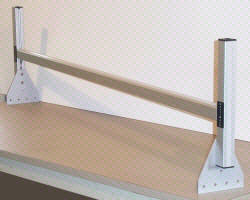 Body Access Ladders section of this website.